A few years ago I heard an ambitious man say that birthdays shouldn't be celebrated because when celebrating a birthday there is no earned merit, goal met, or accomplished task. 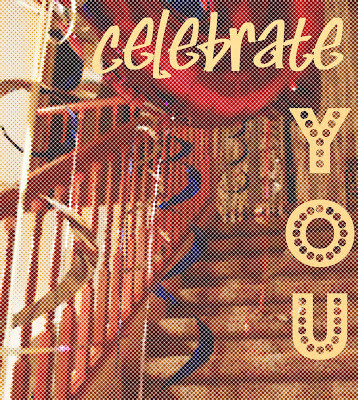 The celebrated one does nothing to earn the special day, so why bother with a celebration? He believed that celebrations should only come after one has accomplished something great. I am a fervent believer in pushing toward greatness, working toward success, and celebrating those who have attained incredible goals. However, I disagree with these words I heard from this over- ripened businessman. Birthdays are celebrations of the past year and the year ahead. Birthdays give us the moment to recognize and appreciate the gift of life and the opportunity to live. Life can be sliced short by unsolicited tragedy anytime. Every minute we have is a perfectly wrapped present that should be opened and savored, never taken for granted. I know God has some amazing things in Heaven, but I really do love this little life here! ;) Celebrating birthdays shows our loved ones how happy we are to share life with them and to celebrate the minutes they've had on this big beautiful earth. It's not necessary to GO BIG for birthday celebrations. Actually, it only takes a little bit of time and a lot of heart to make someone feel EXTRA special! - Prepare a big sign or a cluster of balloons for he/she to find when they wake up on their birthday morning. - Have a special plate, bowl, place mat, tablecloth, fork, or some other token to be used each year by every member of the family on their birthday. - Take him/her to a "birthday only" restaurant every year. Only dine at that restaurant on birthdays to keep it special. - Think out of the box. Put candles in anything! Candles don't have to go in a cake. Be creative by sticking them in low profile potted flowers, a giant breakfast muffin, fruit, a new tub of open play dough, a nutrition bar, and more. 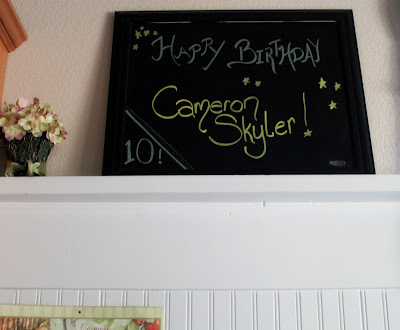 - Use your family message board to write a birthday banner on every year. I've given ideas on Celebration Banner boards before. 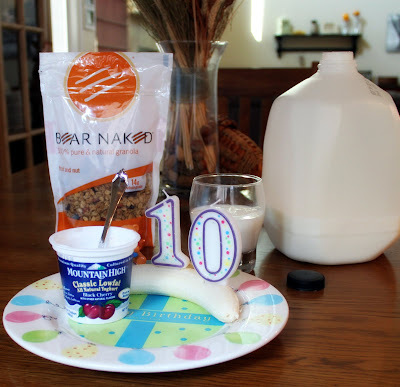 Our oldest son just had his 10th birthday and here are some examples (as I shared above) of little 5 minutes LOVES we did for him! 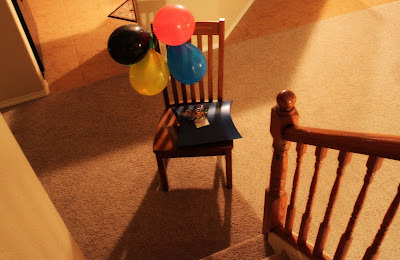 Every year the night before their birthday, I put balloons and/or a birthday sign at the base of the stairs. When they walk downstairs half asleep in the morning, this is what they see. 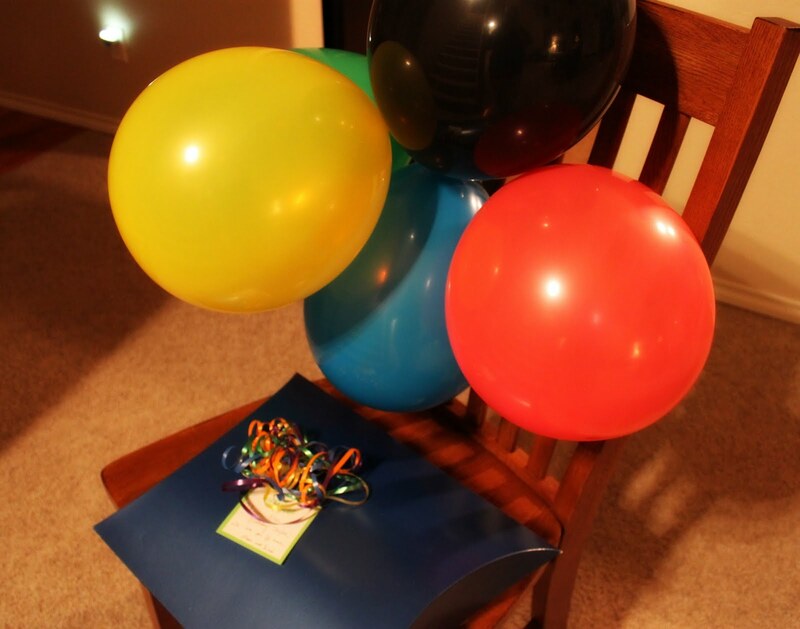 I arrange them different each time, sometimes balloons down the guardrails and sometimes using different chairs. But the boys know that there will be something at the bottom of the stairs when they wake up on their special day. I always leave ONE gift with the presentation as a teaser gift to start off the day. Everyone knows to check our family message board for a birthday banner. I actually started doing this tradition when I was 11 or 12 years old. We had a giant size white board growing up and I made birthday signs every single year for each member of our family. I've carried the tradition over to my family. Growing up, we had "The Special Bear". 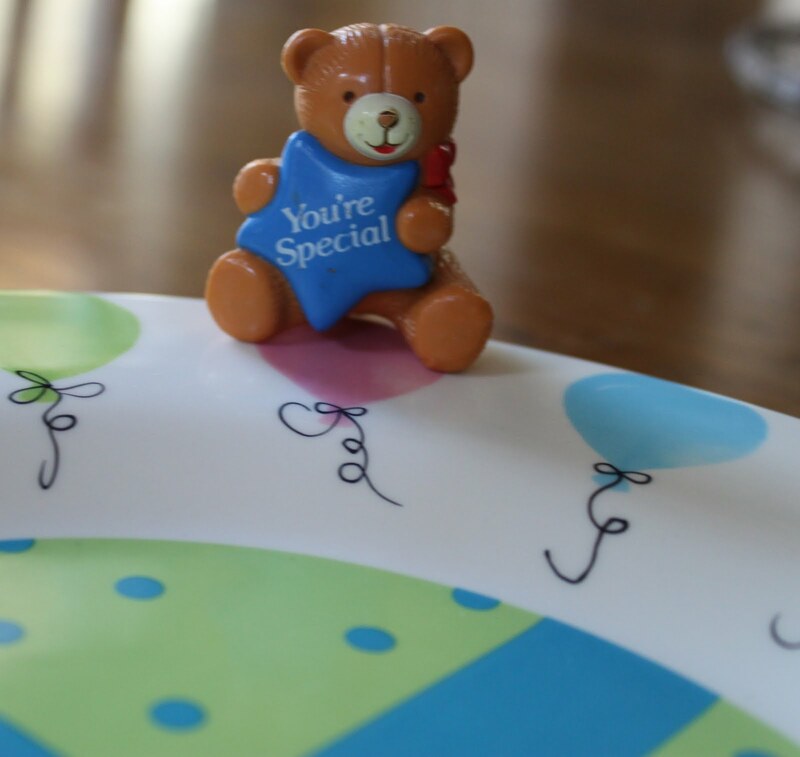 We would find The Special Bear sitting on the edge of our plates every single birthday in my childhood home. My Mom gave The Special Bear to me when I got married and I have carried on that tradition with my family. Now my boys know and love The Special Bear too. They get just as excited as I did to have that little plastic guy on their plates each year! I have also added a new tradition with the Birthday Plate. 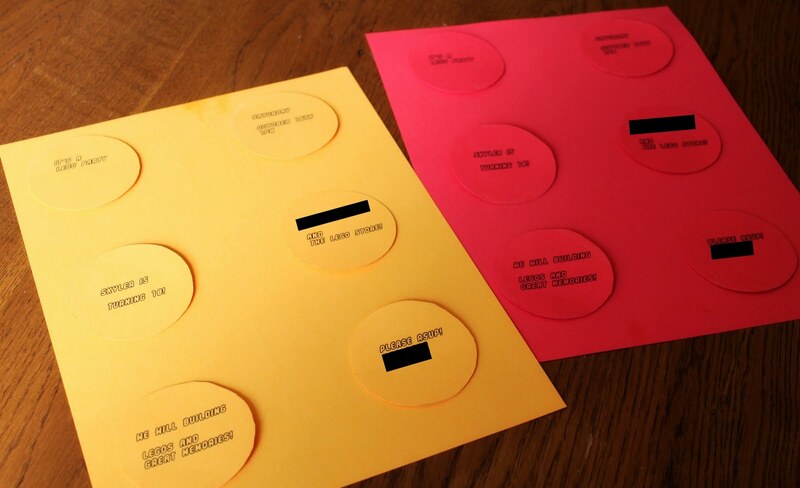 As a girl, I remember my neighbors had a "special plate" and I thought it was the most amazing thing! I always wanted one and so I snagged one when Chris and I started a family. We only use it on birthdays. 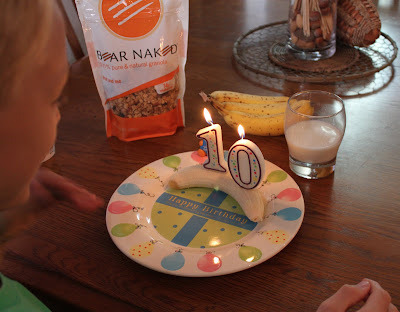 This year, Skyler got his candles in his breakfast banana. Whatever works, right? 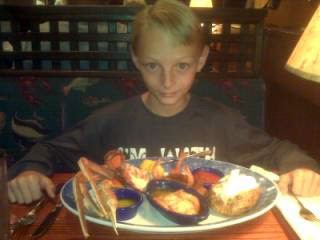 Chris has taken Skyler to Red Lobster for his birthday dinner every year since Skyler was 5. They only dine there on his birthday so it remains a special place and tradition. 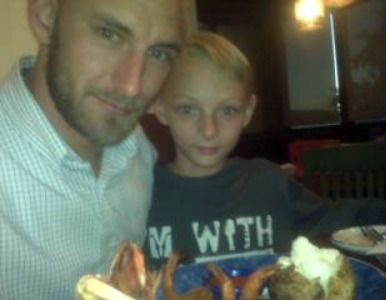 Skyler gets so excited to be a little man with his Dad and no girls or brothers. What do YOU do for holiday traditions that is UNIQUE to your family? LOVE and kisses on birthdays. I found the ACTUAL Lego font online!! SO happy about that. The invitations are giant sized Lego bricks. This isn't my idea. You can find the source I used for inspiration here. I thought it was an adorable idea and was quick to copy! Simply take a piece of cardstock and attach paper circles to it to imitate the look of a Lego brick. I will have full party details posted next week! UPDATE: You can now find party details on the new post. It looks like you did the BERRY BASKET FAVORS! I loved those!! 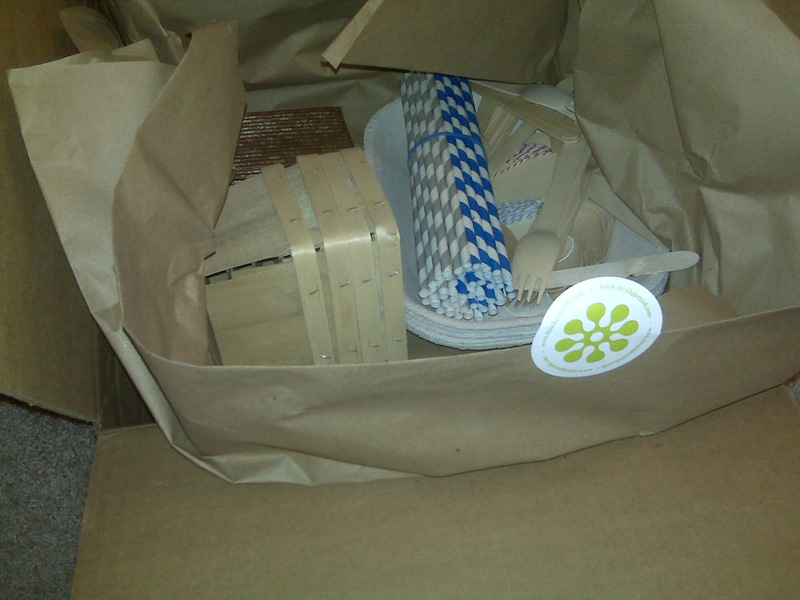 Aren't the old-fashioned striped straws so cute? Always well received. Did you get lego candy?! We had that at Andrew's party and the kid's loved it! Can't wait to see how the rest of your party turned out. Yes we have a lot of special traditions around every holiday and birthday. We have a banner that magically appears on the recipient's special day, a tradition that they get to pick their favorite dinner or to go out, to watch their favorite TV show or movie...basically to be KING for the day!! I do their candles in something in the morning too. I wake up the other people and we go over to the birthday person's bed and wake them up singing happy birthday. Even if it's a school day, I find something that will hold the candles. I have never used a banana...lol, but I have used an oreo cookie, donuts, twinkies and other things on hand. And I have a picture of each and every one of my kids on their birthdays blowing out their candles in bed with their eyes half open and hair a mess. I love it ! My oldest now already cherishes looking back at those pics. I hope that they carry on the tradition. You always have the best ideas to make the ones you love feel even more special. I can't wait to see the whole party so I can copy your ideas again. haha! I have a major Lego lover in my house too. Have a great weekend. 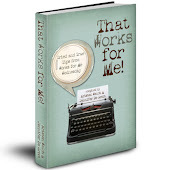 I love all your ideas. I love reading about your birthday traditions. Your boys will remember this well into their adulthood. In our home, the boys awakened to a room filled with streamers and balloons...tons of them! They almost had to beat their ways from their beds. As they hit their teens...and the locked bedroom door stage...we decorated the hallway, leading out of the bedroom. One year I was sick and completely forgot about the balloons. One of the brothers caught it and filled in for Mom.He said "You have to have balloons for your birthday!" To this day...and the guys are now 24-30yrs old...the guys talk nostalgically about the birthday balloons and the still like them on the special day. I love these. We make special breakfasts (by request -- they get whatever they want) and special notes throughout the day. You are a genius at parties. I love your ideas. And you know I'm gonna be first in line to buy your party planning book! 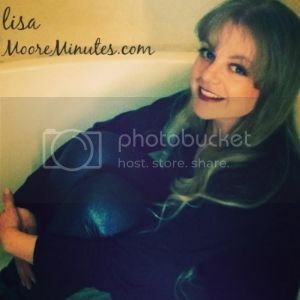 Lisa, I always love to see what you do. You are SO creative. I don't have any real traditions so to speak, though I like to make sure that everyone has presents on everyone's birthday! I like it when there are presents all around. Love this cute post. You are a GOOD mom! 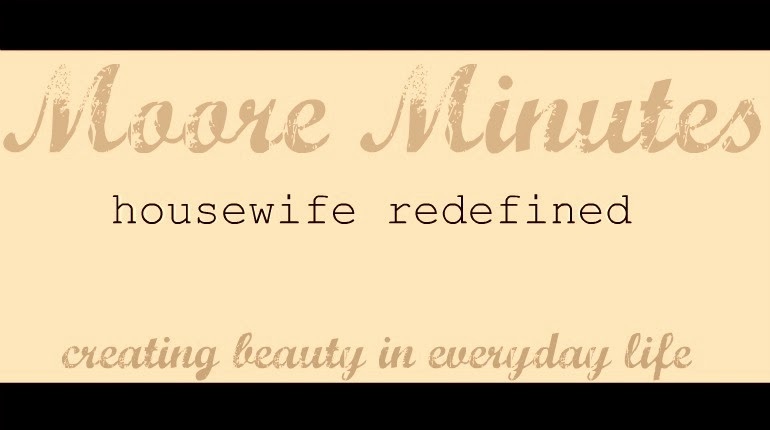 I love what you said about 5 min. True, true, When my kids were little I brought them breakfast in bed. I have some great pics of them trying to handle a tray in bed. Now that I'm older guess who gets breakfast in bed? Me! You always have GREAT party ideas!!! Love all the little things you mentioned-and I agree, a birthday should be celebrated! What a sweet, sweet post. We don't do "big" birthdays but we have special things we do every year....the honorees selects what meal they would like and what dessert. Balloons (like yours) are a must! Now I am drawing a blank...I know we have more...We always have scavenger hunts on Christmas and Easter too. It's the simplist traditions that my kiddos love - we always let them pick a birthday sugar cereal. Easy, cheap, but a favorite! Love the idea of having a bunch of balloons for when they wake up instead of just at a party! What great ideas. I am a huge fan of birthdays. We also do the special plate idea but the birthday breakfast and the ballons were a great idea, that I might have to steal. Speaking of parties I have agreed to decorate a table at church for a ladies night out. Do you have any suggestions for a party favor? The theme is Pearls of Wisdom. Thanks! 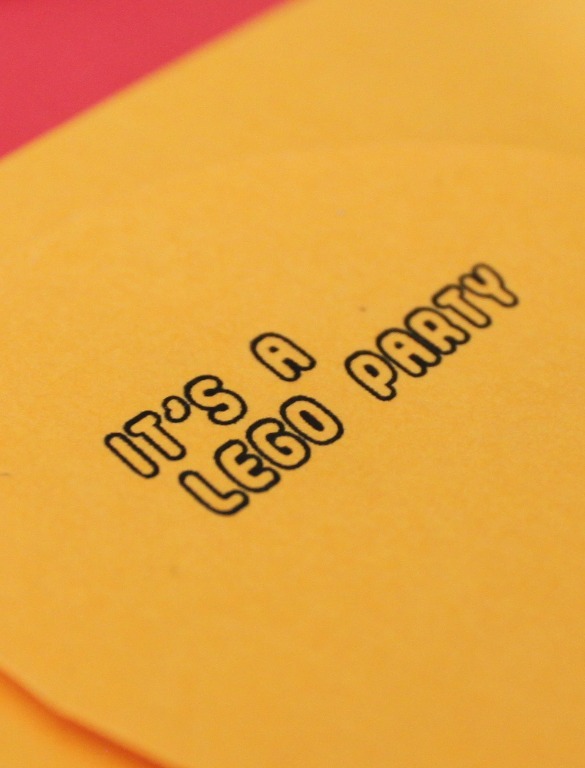 I'm looking forward to your LEGO party pics! What a great idea! I agree that birthdays are a great opportunity to celebrate a life. We also have used the same chunky birthday candle for many years, put up our birthday banner and recently I've created some special quilted birthday party hats that go along with our plastic glasses and noses. What fun! I just love these gorgeous birthday ideas. 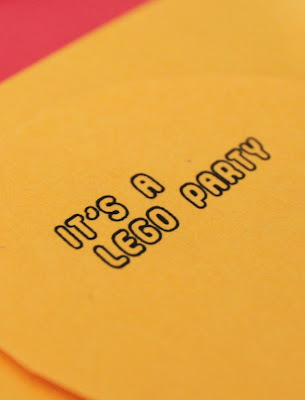 I am also looking forward to hearing more about the Lego party-what fun! So much love filled fun here. I have always blown up balloons for their birthday age and scatter them in the dining room. Simple but they love it! Each person also gets to choose what they want for dinner and dessert...doesn't matter what it is...this is the one day of the year they get to tell their parents what to cook. They think it's fun. "the leaves by hundreds came"